MultiChoice and M-Net roll out the first local South African film, the Afrikaans romantic movie Droomdag, directly to DStv BoxOffice. 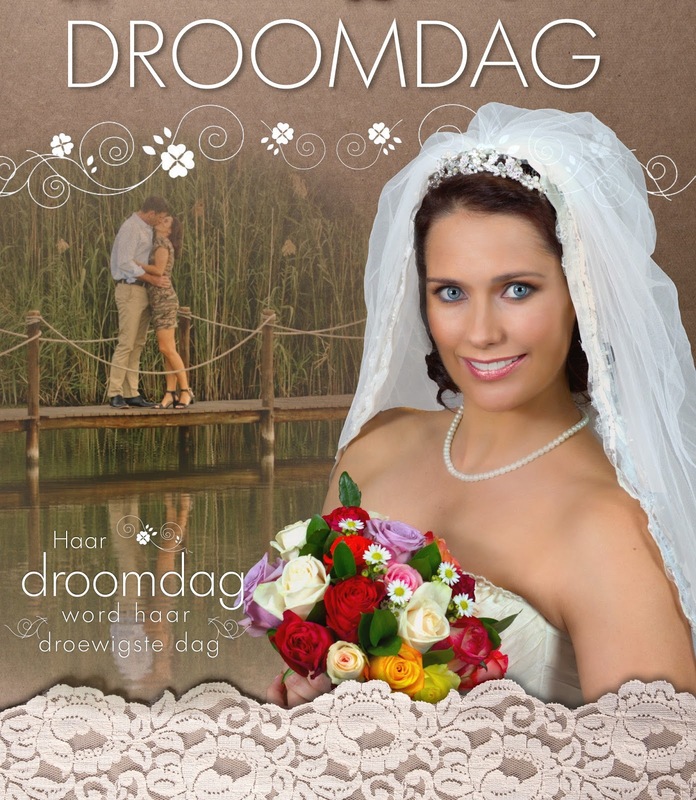 MultiChoice and M-Net is rolling out the first local South African film, the Afrikaans romantic movie Droomdag [Dreamday], directly to DStv BoxOffice. Droomdag, produced by Westel Films under the kykNET banner, is not going to the South African cinema circuit but is made available directly, and first, straight to DStv subscribers through the MultiChoice's DStv BoxOffice service from today, Monday 24 April. In this sense Droomdag, now available on DStv's movie rental service, is making history as the first-ever exclusive release of a local South African film directly on DStv BoxOffice not following the normal distribution path from cinema to video rental to TV. DStv subscribers can rent and watch Droomdag either online or through their PVRs. Droomdag was produced by Westel Films, the production company of Willie and Pieter Esterhuizen, with the assistance of M-Net and kykNET Films. "We're honoured to premiere Droomdag exclusively on our BoxOffice service," says Aletta Alberts, MultiChoice general manager for content. "In the past year Afrikaans local films have performed exceptionally well on our DStv BoxOffice service and the overwhelming number of rentals of films such as Vir Altyd, Vir die Voëls and As Jy Sing indicate that our customers love romantic dramas and comedy with a strong South African flavour." Lani Lombard, M-Net's head of publicity, said people who were crucial to the making of Droomdag and getting it on DStv BoxOffice were Jan du Plessis, director of M-Net channels she called "Mister Movies of South Africa" and Karen Meiring, director of kykNET channels "who support local films". "We are extremely excited about this film produced by legends in the industry. It's a very special film, I had some tears in my eyes at the end, so beware. We hope that people will enjoy it." "We think Droomdag will do very well on DStv BoxOffice. Romantic comedies and romantic dramas are the stuff that BoxOffice is made of and especially Afrikaans romantic films as well - there's a very dedicated audience," said Lani Lombard. Droomdag is a romantic film aimed at a female audience. It tells the story of Tanya Stark, played by Juanita de Villiers, a young woman who finally finds true love - with an unexpected and tragic twist. Also in Droomdag are actresses Natania van Heerden and Sharleen Surtie-Richards, as well as Greta Keet, Maki Mokitli, Keyuri Naidoo, Adriana Faling and Leandry Smith. Soapie star Marcus Miller from Egoli and Villa Rosa fame is the guy who sweeps Droomdag’s heroine off her feet. Other actors include Kaz McFadden, Thiart Li (also known as former Idols SA contestant Shenay) as well as Neels Clasen and Dambuza Nqumashe. SABC's Hlaudi Motsoeneng in ANN7 interview slams 'clever blacks' for attacking president Zuma; claims MultiChoice pays for whole SABC newsroom operations. Speaking in a third unauthorised public appearance on Sunday night, the controversial SABC employee Hlaudi Motsoeneng slammed "clever blacks" for criticising president Jacob Zuma. On Sunday night the suspended Hlaudi Motsoeneng who confirmed that "I'm still an employee of the SABC" did an interview on the Gupta-owned ANN7 TV news channel on DStv, a few days after his own press conference on Wednesday that he followed up with an interview on Thursday on the eNCA news channel. After the SABC interim chairperson Khanyisile Kweyama said on Friday that Hlaudi Motsoeneng – who is awaiting another disciplinary hearing – isn't allowed to speak publicly as an SABC employee, he went and ramped up his public statements on Sunday night by making political statements and again slammed the SABC board member Krish Naidoo as a liar. Hlaudi Motsoeneng spoke on ANN7's Straight Talk programme where interviewer Sifiso Mahlangu lobbed several-softball questions to Hlaudi Motsoeneng during the half-hour ANN7 show. "The DA represents liberals. You can't run away from that point of view. They just have face when you look at Maimane, Mmusi Maimaine, just the face there. 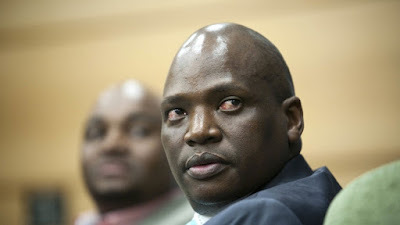 This people are using him," said Hlaudi Motsoeneng. "I'm always surprise that a black person – when you have many, many, many, many white people who [you] don't see media running after white people. But we see media and the DA running after black people." "If you can check, people are not just attacking Hlaudi. They're attacking all those people who have been doing very well, like Brian Molefe, like [Tom] Moyane, Sars commissioner, and many, many people they have been attacking them, that I think they’re radical, they know what they do. They know what South Africans want." Hlaudi Motsoeneng said "you can see there’s many opportunists within the SABC, especially people who are disgruntled, people who are not supporting transformation within that organisation, who went and lied during the ad hoc committee". Hlaudi Motsoeneng again slammed SABC board member Krish Naidoo and claimed Naidoo lied during parliament’sad hoc committee investigation into maladministration and corruption at the SABC. Hlaudi Motsoeneng said "we live in a democratical society" and that "for the first time in history, all of them in parliament, they collude, all of them, under the name of Hlaudi" to get rid of him. Hlaudi Motsoeneng also attacked the former SABC journalist and contributing editor Vuyo Mvoko, now working for eNCA, and who was fired as one of the so-called "SABC8" when they protested SABC censorship during 2016. "I don't know what Vuyo Mvoko knows. Remember Vuyo Mvoko was working for the Guptas himself, so I don't know what happened between him and the Guptas." Hlaudi Motsoeneng made a new revelation during the Sunday evening interview, addressing the SABC's controversial contract with MultiChoice in which the public broadcaster supplies the SABC News and SABC Encore TV channels to DStv. He claimed that the commercial pay-TV company is paying for the public broadcaster's entire news operation. "I have been saying, the money that we are getting from MultiChoice, it pays the operations of the SABC – the whole newsroom, not for DStv 404 channel." "If you cancel that contract, which means people are going to be unemployed." "The reason why media attack government is because they still believe that black people can't rule. It's a pity that you have so-called clever blacks who are also joining to criticise, especially some of the leaders in this country – president Zuma is one of them," said Hlaudi Motsoeneng. "President Zuma is under attack. And why he's under attack, is because he's talking about radical transformation. So when you touch those issues, you touch the real nerves of some of people who don’t want that change to happen". "The problem is not white people in South Africa. It's not white people. They are powerless. We are in charge as black people. We must implement what we need to implement in South Africa." Hlaudi Motsoeneng said: "We are not saying chase away the white people. They are part of us, we are part of them. But they shall understand there must be equity among all of us." Hlaudi Motsoeneng said he asked SABC cleaners why they want to work for other people. He wanted to empower the cleaners so that they own their own company. "I said the cake should be shared, not just these big companies." Addressing the situation of the SABC being on the verge of financial collapse needing another billion rand bail-out from government, he said "the reason why the SABC were having all this repeats [on TV], some of them they were just happy to have R1.4 billion in the bank." "I asked them you have R1.4 billion in the bank, but you are not empowering black people." "South Africans they are very crazy when it comes to Hlaudi, so I know, that really I'm in demand. I don't have a problem. But I have been saying to people I'm going to enjoy myself in that disciplinary hearing, because I enjoy everything that I do. Whether it is dismissal, I will enjoy it." 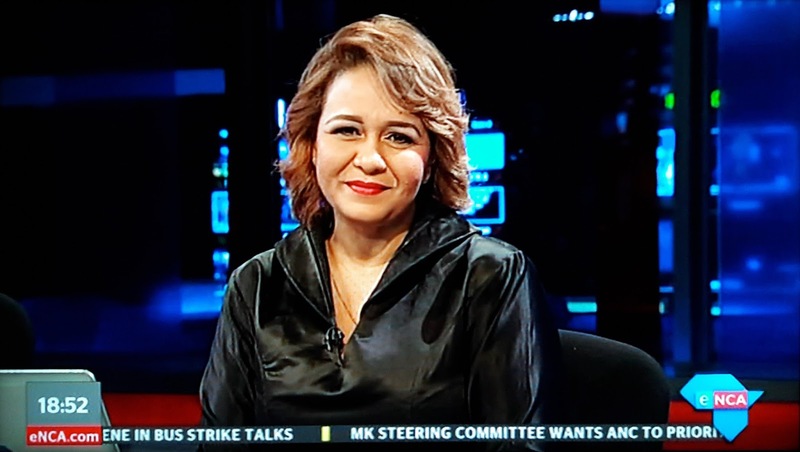 Iman Rappetti has bowed out of eNCA (DStv 403) and NewsNight, saying she wants to read more bedtime stories for her little girl, is writing a book and implored South Africa's journalists to keep asking questions despite silence and to hold up a mirror to ordinary people's struggles. On a hot mic, accidentally not muted, eNCA viewers heard while she hugged her co-anchor Jeremy Maggs as the end-credits rolled, as he gently asked: "Are you alright? Are you okay?" Iman Rappetti who immediately jetted off to New York for a well-deserved holiday over the long weekend, decided to leave the South African 24-hour TV news channel's prime time newscast that she co-anchored on most nights for the past half a decade with Jeremy Maggs. Jeremy Maggs is also leaving NewsNight but not eNCA, having requested a shift to an earlier afternoon timeslot on the news channel. This past Thursday evening just before the start of the Easter long weekend, with e.tv and eNCA that didn't issue a press release or a programming advisory to the media, Iman Rappetti signed off on her final NewsNight bulletin after over a decade with eNCA, about five years of which she spent behind the glass desk during prime time at eNCA's Hyde Park headquarters. A visibly emotional Iman Rappetti wearing black and with two of her children watching behind-the-scenes in the studio, started crying. She tissued-away tears on live television as Jeremy Maggs who called her "my friend", said "the country's best and most accomplished TV news anchor by far has read her final story". "In her time here, she has proved to be a fearless journalist. Iman you ask questions that others are afraid to ask. But much more than that you have an eye for a story that's driven by a deep desire to get to the truth but never, ever at the expense of an abiding sense of decency and compassion," said Jeremy Maggs, who added that "myself and our loyal audience are going to miss you terribly". 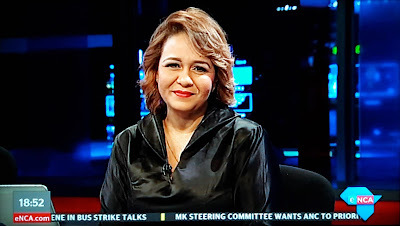 eNCA closed out NewsNight by showing a terrific highlights reel of Iman Rappetti's reporting over the years at eNCA and eNews, containing bloopers, various hairstyles and some of her most arresting and courageous doorstop interviews. Iman Rappetti for instance interrupted the Zuma Spear painting defacer and asked if he's "meant to do this", and asked then-president Thabo Mbeki afew years back, "Have you seen the warrants for Jackie Selebi?" (His flabbergasted answer at her wonderful impertinence: "You can't be serious."). Most recently Iman Rappetti walked up to president Jacob Zuma after his cabinet reshuffle where he refused to talk to the media as the sole journalist there brave enough to shout out: "Mister president, I just want to ask why you fired the finance minister? Are you able to give us some answers please sir? Mister Zuma?" Iman Rapetti said she decided to go into journalism because "I couldn't afford to be a human rights lawyer". "I remember my mom was polishing the floor on her hands and her knees and I said 'I'm going to study journalism'. She said: 'How are you going to do that?' And I said it is going to happen." Iman Rappetti talking about journalism and specifically why she asked president Jacob Zuma about his recent cabinet firings, said: "We cannot accept silence. Not from our leaders." About her next chapter, Iman Rappetti said "I'm writing a book. It's really cool. It's going to be a loose memoir. But I'm going to spend time with my children. I want to hold their hands more. I want to cook dinner. I want to make butter chicken curry as many nights as I possibly can." "I want to read my little girl more stories to sleep at night". "I just want to encourage all journalists out there to be utterly and supremely fearless in what you do. And to remember that stories are not about you. They're about the families it matters most to - especially those who has a voice, but whose voices need amplification. We need to in a clear way just hold a mirror and a megaphone to their context." e.tv and eNCA hasn't announced whose taking over as NewsNight anchors from Iman Rappetti and Jeremy Maggs. eNCA's change is the third South African TV news channel that underwent a big on-air change in recent months. Peter van Onselen left ANN7 (DStv 405) for eNCA as the Gupta news channel's last legacy, veteran anchor and on SABC News (DStv 404) Francis Herd became the new co-anchor next to Peter Ndoro after Vabakshnee Chetty-Miller signed off in January and left for America. Discover Digital to launch a new South African video-on-demand (VOD) streaming service, says 'viewers today want freedom of choice'. Yet another video-on-demand (VOD) service is set to launch in South Africa next month with Discover Digital that will be making another service available in the country's overheated streamer services arena. It's not yet clear what exactly Discover Digital's a new video-on-demand content hub will be called, but its Digital Entertainment on Demand (DEOD) service will very likely be offered as a straight-to-consumer service, and also as a flow-through service to other interested operators. Discover Digital's to be launched service is the latest rival that will compete with video fighters like Naspers' Showmax, the global streaming service Netflix, MTN's limp-along VU, PCCW Global's ONTAPtv.com, and PrideTV all battling for users. South Africa's cash-guzzling SVOD sector that has seen breathless millions spent since 2016 on content acquisition rights and marketing as streaming services all try to secure a bigger foothold in the door, has already seen spectacular failures like Times Media's VIDI and Altech's Node that both imploded. While VOD and subscription VOD services are only being used by an extremely small part of the South Africa viewing audience - the latest Television Audience Measurement Survey (TAMS) update used from April 2017 pegs it at only 1% of the total South African TV viewer universe - it is growing fast. Discover Digital's new on-demand content hub that will have its media launch on 4 May, will be offering a broad bouquet of premium local and international entertainment and educational content and linear channels. Discover Digital says it is taking its new VOD service to market in partnership with existing mobile operators as well as big consumer brands that may opt to offer its new service as a value-add, or add their own branding to the service. Now Discover Digital's managing director Stephen Watson says the specialist on-demand company is aggressively entering the African market with a plan to bring fully converged linear on-demand news and entertainment streaming services to viewers across the African continent. 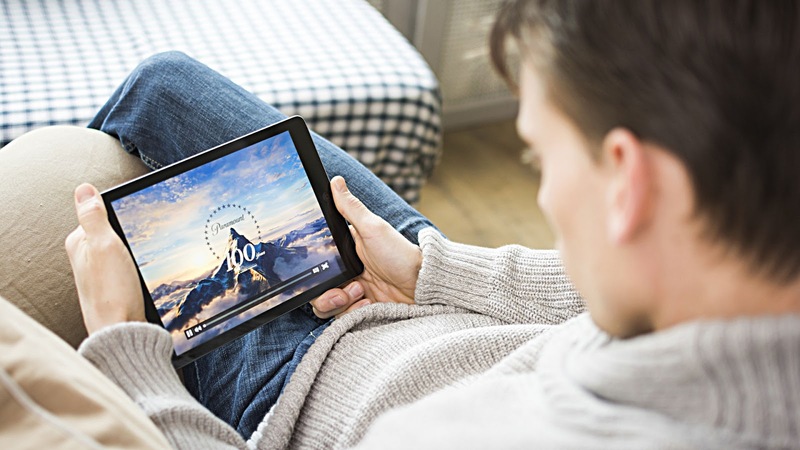 "South Africans will begin to take up paid for on-demand services in greater quantities and I believe this will then start to significantly shift broadcast ad budgets and spend," says Stephen Watson. "Audiences no longer want to be prescribed extensive, expensive bouquets of channels that they may only watch a small percentage of, or that overwhelmingly do not speak to their interest; they want to be able to choose and so smaller packs of niche focused content or channels is becoming more readily available." "Viewers today want freedom of choice. They want customisable, affordable access to movies, news, sports, music and TV series wherever they are," says Stephen Watson. "Disruptive new models are breaking the traditional broadcast and pay-TV moulds by letting viewers choose what packages and genres they want, what subscription models they prefer, and even how they'd like to pay. VOD delivers." Naspers is reported to be seeking partnerships with mobile operators across sub-Saharan Africa to boost ShowMax and has already concluded a partnership with Safaricom in Kenya with talks underway with other telecommunication operators. Meanwhile MTN Nigeria recently announced its over-the-top (OTT) VOD service for subscribers, while Ericsson is securing content deals for its NUVU VOD service. BACK TO BEAUTIFUL. The Bold and the Beautiful goes back to the beginning, recreates its iconic original theme song for its 30th anniversary. It's back to beautiful for The Bold and the Beautiful that just turned 30 years old and strikingly brought back a new updated version of its original and iconic theme song that is completely must-watch worthy. The new throwback theme song returns to the original Bold themesong that was used in the late 80's, 90's and 2000's, ingrained into the memory of millions of viewers around the world, but that was retired a few years ago. For The Bold and the Beautiful's 30th anniversary, the American weekday soap, filmed at Stage 31 at CBS Television City in Los Angeles for the past three decades, went back and recreated its original theme song in a fantastic way. The original music that millions of viewers know is back, but with slightly more vibe and more edge, and a much faster and more excited pace. Bold's current cast of characters cleverly recreated the iconic images of the original as the actors in several shots strike the exact same poses that viewers who look quickly and carefully, will remember from the original. At the end, the "Bo" of Bold flashes a golden "30" before it settles on its iconic roll-out fabric sheet of pink and purple, symbolising the fashion scene inside which the Forrester family soap is set. South African viewers watching The Bold and the Beautiful on SABC3 will get to see the new theme song in a few months' time since the country is running a few months behind America. Despite plans by executives like the SABC's former controversial chief operating officer (COO) Hlaudi Motsoeneng to get rid of American shows like Bold, that's not likely to happen anytime soon. The SABC has to keep buying, paying and showing The Bold and the Beautiful until its cancelled. Bold, one of the few remaining American TV staples on the SABC, has a so-called "lifetime duration" contract. While Bold, as with all American daytime soaps, lost millions of viewers the past decade, the William J. Bell and Lee Phillip Bell created glam soap still reigns supreme as the most watched daily American soap in the world. Since it started in 1987, The Bold and the Beautiful has been nominated for 233 Daytime Emmy Awards of which it has won 77. The soap has done 90 weddings, has gone through more than 1 500 bottles of hairspray so far, written 330 000 pages of dialogue and has filmed in more than 17 exotic places around the world ranging from Monte Carlo and France to Italy, Mexico and the United Arab Emirates. Bold is seen in over 100 countries by more than 36 million people around the world daily and decided to travel to Australia to mark its 30th anniversary by filming episodes in some of Australia's most iconic and glamorous locations for Steffy and Liam's wedding. 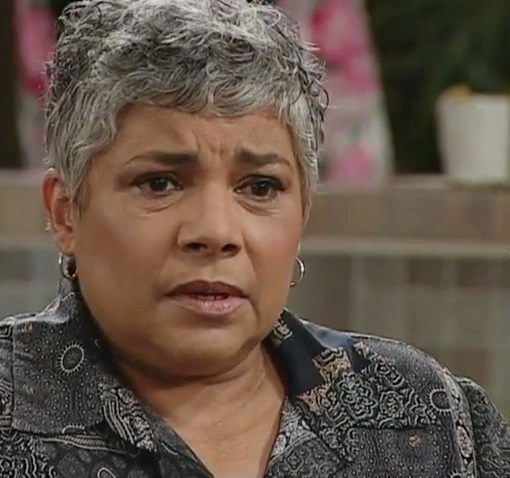 The soap also went to Australia for the soap's 20th anniversary a decade ago. 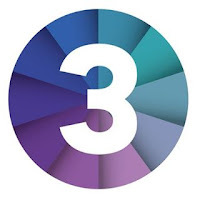 Despite its shoddy treatment - the SABC in mid-2013 finally moved Bold after decades from SABC1 to SABC3 after several failed attempts since 2011 - the soap remains more popular with viewers than any of the local content broadcast on SABC3. Despite the move to the SABC's smallest TV channel Bold continues to bat far above its weight, where over the past year it has remained the most watched show on the channel and largely kept up its ratings despite an ongoing viewership slide for SABC3. South African viewers keep tuning in for the show that again got moved to a new timeslot, with The Bold and the Beautiful that is now on SABC3 on weekdays at 18:30 since the beginning of this month. 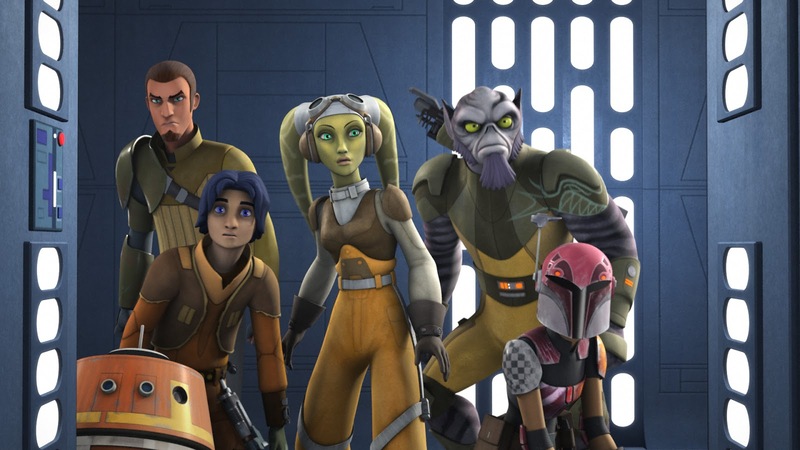 Star Wars Rebels cancelled; upcoming 4th season the last on Disney XD; final 15 episodes will 'be darker in tone'. Star Wars Rebels on Disney XD (DStv 304) has been cancelled, with the upcoming 4th season that will be the animation show's last. Star Wars Rebels executive producer Dave Filoni made the announcement of the cancellation of Star Wars Rebels at this past weekend's Star Wars 40th Anniversary Celebration in Orlando Florida. He hinted at a return of the character Ahsoka Tano whose fate was left unshown following the second season finale cliffhanger in which Ahsoka Tano faced off with Darth Vader. After Disney was reluctant to give Star Wars Rebels a 4th season with only a muted announcement last month that it was actually renewed, Dave Filoni said it's better to end a show when you can end it on your terms, alluding to the shock cancellation of his previous animation show Star Wars The Clone Wars that had several stories and episodes in development that were never finished. "I firmly believe that each generation needs to have their own piece of Star Wars, and this show, for a lot of kids growing up with it, is as much a piece of Star Wars as any of the movies," said Dave Filoni. The final 15 episodes of Star Wars Rebels "will be darker in tone, with a Rogue One aesthetic," said Dave Filoni. 'The shadows are still around here': Here's 25 new SABC shockers as the broadcaster's staffers make astounding revelations about the chaos inside the crumbling SA public broadcaster. SABC staffers venting their frustrations and problems have made shocking new revelations about mismanagement, maladministration and the chaotic situation inside the out-of-cash and crumbling South African public broadcaster. SABC staffers from across the various divisions within the public broadcaster that's hovering on the brink of financial collapse, publicly voiced their concerns and fears, anger and frustration about an unbelievable array of shocking things that's gone haywire at the SABC. SABC workers inside a jam-packed SABC auditorium, including tele-linked in provincial personnel, spoke up in front of the new SABC interim board and parliament's portfolio committee on communications that visited the SABC. ■ SABC TV licence staffer: "People are too afraid to address this topic. They're too afraid. The TV licence department was going to strike. Hlaudi Motsoeneng and James Aguma came in and they offered us a contract and we were supposed to be permanent. But its obvious that it's not going to happen. It continues with temp, temp, temp." ■ Nelspruit staffer: "Ligwalagwala FM doesn't have a station manager because he was suspended a year ago. We don't know what's happening with that. Then there is an open space that the SABC is paying for, but it's not used. It's just empty. That's wasteful expenditure." ■ Magdaleen Kruger, RSG station manager: "We used to have a public broadcasting division and commercial division. A few month ago it was changed to fall under corporate affairs. Radio is now reporting to corporate affairs.We don't have general managers anymore. There's no decision making." "At the moment the SABC is the only public broadcaster in the world sitting with this skewed, non-structure for radio." ■ Magdaleen Kruger, RSG station manager: "We are in austerity at the SABC. If we need a mic we can't order it. But at the same time a R10.2 million plan was approved to pay R50 000 each to legends in the music industry. That R10.2 million was not budgeted for, we don't know who approved it." ■ Polokwane staffer: "There is a moratorium on hiring of people at SABC. Limpopo doesn't have a provincial editor for news and current affairs and that creates a lot of instability." ■ Dumile Mateza, TV news presenter: "SABC News (DStv 404) is under threat." "The channel started in 2013. We had a channel head. Today SABC News doesn't have a channel head. It means the channel has been driven by freelancers, all the time. All the staff you see on that channel has been driven by freelancers." "When the SABC got the chance to set up this channel on DStv, they got the opportunity to start something that they could take forward once digital TV migration comes in. SABC News has been neglected." "Whenever there's a funeral it goes on this channel, whenever there's a rally it goes on this channel. The funerals, I actually said to somebody, probably they must go to Avbob, they can sponsor these funerals." "We have been rudderless on the SABC News channel since Themba Mthembu retired three years ago and we have been left to our own devices." "Some of us, we're three in a team. We don't even have an executive producer. We do all the executive producing work but we don't get paid for it." ■ Poobie Pillay, ad exec: "Landmark was implemented last year April. Landmark is an ad booking system that was meant to book client adverts and run across all 18 SABC radio stations. Landmark wasn't tested before implementation, there was no research done as to why we should use this software system for radio." "The SABC has lost million by using and implementing the Landmark system. My colleagues and I've got clients on a daily basis ... we've got, Afrikaans ads are on Ukhozi FM; it's just a mess. We can't execute competitions and we are losing millions of rand." "I love the SABC. I've always dreamt of working here. It makes me sad to see that we're in financial distress because some people didn't take the time to go and do their research to make sure that this organisation can pay its employees." "It's a year later and we're passing credits of over R100 million to clients." ■ Carmen Schnider, manager SABC change management department: "I was asked to come here two years ago and to help with change. I'm sorry to say 90% of the changes I'm not involved in at all, nor is my team." "I'm afraid to say that most of the changes are done somewhere, bekonkeld in an office without change management involved. There's policies being changed, there's policies being flouted and change management isn't involved at all. It is so sad." ■ Alet, current affairs producer: "I returned to the SABC 20 months ago. It was like moving back in time." "The technology or the lack of technology in this place is shocking. In TV current affairs we're still working on tapes." "In current affairs there's 7 or 8 cameramen available to all the current affairs programmes. We've been told we can only have one cameraman, per programme, per week. How are we supposed to shoot our inserts?" ■ Nigel Bird, commissioning editor: "The concern is for us the flouting of procurement processes." "Commissioning editors are tasked with procuring, but somebody come from wayside and will tell you 'This is what you will be doing'. He said: "the SABC is hemorrhaging money." ■ Thandeka Gqubule, economics editor: "We're the victim of inept, ignorant management." "We are a victim of corrupt management." "We are politically influenced. Political appointments, political everything. We want a multi-stakeholder board that's representative of the South African public that is drawn from labour, churches, unions and all members of our society. You can see how painful the consequences of political meddling and cadre deployment are. They wreck lives." "The shadows are still around here. A slew of significant decisions have been made in the last three months: Positions moved around, people moved around, enormously important financial decisions. On what authority have these decisions been made?" "That MultiChoice contract must go. It wasn't proper, it was illegal and it delays us from going digital." ■ David Webb, independent contract worker: "The over 5 000 employees that are here at the SABC, the majority share, somewhat over 3 000 are independent contractors." "Is it right for freelancers to be contracted year after year, some employees for up to 20 years, on a year to year contract? The department of labour stated to us that something is not right with the issuing of these contracts". ■ SABC staffer: "This place is shrouded in secrecy. We're being threatened with retrenchment. Yet within the SABC the place is filled with consultants duplicating functions. Yet people are being threatened with being fired." ■ Ukhozi FM marketing executive in Durban: "When I went to Wits for four years, studied and got my honours, it wasn't to date anyone. I studied hard for myself to get better opportunities. It is always about the wrong people, hired at the wrong positions." ■ Lotus FM producer in Durban: "The 90% local content issue, we're facing financial crisis. Lotus FM has been affected drastically in terms of revenue and listenership figures. SABC interim board should try to bring back credibility to the SABC's radio station and TV channels". ■ Bloemfontein staffer: "We at provinces are not properly resourced." ■ Kimberley staffer: "The communication from the SABC as a broadcaster is very poor. The Northern Cape province, where we are, the accommodation is not conducive." ■ Polokwane staffer: "The SABC has lost millions of rands in the Landmark ad booking system, and no-one is looking at who introduced this monster that is costing the SABC so much money." ■ Polokwane staffer: "In Limpopo out of the blue it was announced by then-COO Hlaudi Motsoeneng that Phalaphala FM would move to Thohoyandou without consultation with staff." "When we asked the acting GE of corporate affairs and raised issues about technical glitches in Thohoyandou to say that building isn't ready to be occupied from, he said you're not going to stop Hlaudi's vision". ■ Polokwane staffer: "The technology in Limpopo is very, very pathetic. We asked for technology to just record something. We have a very old machine. For you to go out and record content outside, it's a nightmare." ■ Polokwane staffer: "I'm wondering if James Aguma, acting SABC CEO isn't part of the problems we are talking about. James Aguma still consults the former COO and he runs to Hlaudi's house after work. That tells us that we're still being run by Hlaudi from the grave". ■ IT website staffer: "In February we had a meeting with our manager where she told us that there's a new company that has been contracted to come and develop 7 websites for the SABC. The company is called Infonomix." "When we asked if we still have jobs, nobody is able to respond to that. Our unions have tried to ask to find out what is going to happen to us since this company has been contracted for 5 years, and nobody is responding to those questions." ■ Nonnie Jacobs, SABC Sport managing editor: "My worst victimisation is to spend sleepless nights, concerned as to whether I'm going to have a salary." "As SABC Sport, we need sporting rights. If we don't have rights, are we still a department?" ■ Victor, ABC Sport staffer: "SABC Sport is in ICU. The wheels fell off when we lost the rights. We have a management that thrives on victimisation, not planning, no research." "Business plans are done last minute, we lost sponsorships, we lose advertisers. Other departments have to be pointed a finger on over our inept handling of responsibility." "We are not making money for SABC anymore. We are draining money out of SABC. We have a marketing department that we don't know what they're doing." ■ SABC staffer: "Are we going to be retrenched or not? It's a very simple question. Because hearing things in the corridors is unacceptable. And you all know, the SABC, where there's smoke there's fire. Is there money or is there no money? We should not be hearing it from a press release in the media." BREAKING. New SABC interim board set to scrap Hlaudi Motsoeneng's debilitating '90% local' content decree that decimated the public broadcaster. The out-of-cash SABC is set to scrap the debilitating 90% local content broadcasting decree introduced in July 2016 that completely drained the SABC's coffers, disrupted its income streams and ad revenue and saw listeners and viewers flee. The Post reports that the SABC's new interim board is urgently set to scrap and "overturn" the local content decree that was unilaterally introduced by the public broadcaster's controversial former chief operating officer (COO) Hlaudi Motsoeneng in mid-July that decimated SABC audiences ranging from the listenership of radio stations like Lotus FM to TV channels like SABC3. Parliament's special ad hoc committee investigating maladministration within the SABC was told in January that Hlaudi Motsoeneng's abrupt and unilateral local content edict which he several times claimed personal credit for as his sole idea, was never a policy and was never tabled before the SABC board as a decision for a vote. The SABC's new interim board, tasked with trying to save the beleaguered South African public broadcaster, is now taking action to "overturn" the 90% local content implementation. This will see the SABC return to the previous 60% local content quota - the standard set by South Africa's broadcasting regulator, the Independent Communications Authority of South Africa (Icasa). Hlaudi Motsoeneng's 90% radio needletime for local music and 80% TV content decisions for SABC3 saw dramatic listenership and viewership losses for the SABC over the past 9 months. Meanwhile the SABC also had to ramp up spend on costly local content - an unsustainable situation for the already battling broadcaster now on the brink of financial collapse and urgently needing another bail-out. "We are not diverting from local content," SABC interim board member Krish Naidoo told The Post. "We are just trying for a more structured approach." Krish Naidoo who said Hlaudi Motsoeneng's "90% local" decision undermined the entire business" of the SABC, said that he will "support it to be scrapped". "It impacted on the entire revenue stream. Both listeners and advertisers dropped, likely as a consequence of 90:10". He said the SABC will look at a new process of to develop local content that will be done in consultation with artists and communities. RATINGS MARCH 2017: As SABC ratings tank, DStv now lures more viewers than all of SABC3; meanwhile 7de Laan loses over 400 000 viewers on SABC2 in just one month. In its ongoing viewership slide, TV ratings for the SABC has now dropped so shockingly low that some DStv shows - although available to only a much smaller audience due to it being pay-TV - now have more viewers than the most-watched show on SABC3. Meanwhile timeslot and day changes for moved shows ranging from Zaziwa on SABC1 to 7de Laan on SABC2 has had, as expected, disastrously negative viewership consequences, plummeting in the ratings following erratic and inexplicable SABC schedule changes. Shockingly, 7de Laan lost over 400 613 viewers in just once month as viewers fled SABC2 in March following a third timeslot change the Afrikaans soap within months. The SABC's acting chief operating officer (COO) Bessie Tugwana told parliament in February the soap was moved so that more viewers can watch it. The erratic scheduling changes and dropping viewership is having a debilitating impact on the SABC's rate card for spot ads and the public broadcaster's advertising income. During March, the Mzansi Magic (DStv 161) hits Isibaya and Our Perfect Wedding were watched by more South Africans than anything on the SABC's struggling SABC3 channel. In March SABC3 continued the channel's ongoing viewership nosedive following the former controversial SABC chief operating officer (COO) Hlaudi Motsoeneng's abrupt order to introduce an expensive, but flopped, 80% local content decree in July 2016. Isibaya grabbed 1.59 million viewers and Our Perfect Wedding 1.56 million viewers on Mzansi Magic for their most watched episodes in March, more than anything shown on SABC3 where Isidingo was the most watched show with 1.33 million viewers. On SABC1 the once hugely popular talk show Zaziwa that used to lure 3,5 million has dropped more than a million viewers with its misguided and abrupt move from Thursdays to Sundays since February. Zaziwa went from once of the most watched shows to not even featuring in SABC1's monthly top 20 most watched shows list. Good news is that all three of SABC1's top shows edged somewhat higher with Uzalo, still in first place (8.52 million, 69.2 share), Generations The Legacy (8.43 million, 68.8 share), and Skeem Saam (6.3 million, 60.8 share) all gained a few viewers from their February tallies of 8.4 million, 7.89 million and 6.1 million viewers. That's however where the good news ends. 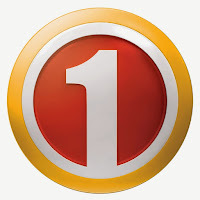 Only marginally up in March on SABC1 were the Zulu news (4.3 million viewers) from 4.06 million, the Xhosa news (4.12 to 4.18 million viewers), Ses' Top La from 3.9 to 4.03 million viewers, and the perennial Khumbul'Ekhaya from 2.72 to 2.74 million viewers. Selimathunzi dropped from 3.58 to 3.45 million viewers, Nyan Nyan from 3.52 to 3.09 million viewers, Ngempela from 3.24 to 2.76 million viewers, and Mokapelo from 2.9 to 2.6 million viewers. The big story on SABC2 is how 7de Laan's viewership keeps dropping like a rock. 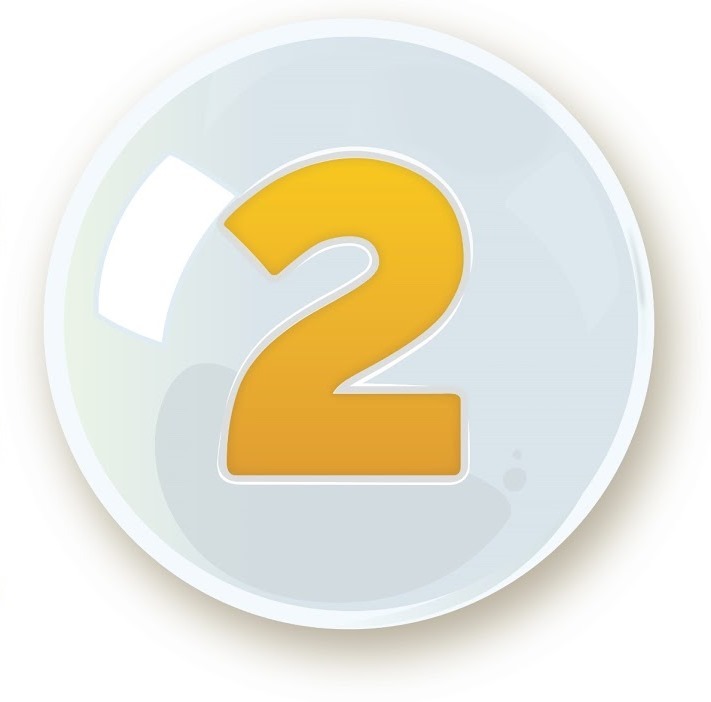 7de Laan in an ongoing ratings slide, lost a further over 400 613 viewers on SABC2 in just once month during March. Shocking timeslot changes and the abrupt removal of the weekend omnibus in March saw the Hillside soap plummet further, now down to 2.05 million viewers (25.3 share) in its new 18:00 timeslot. That's down from February's 2.45 million and January's 2.78 million viewers. The Afrikaans news bulletin on SABC2 also subjected to yet another new timeslot is likewise on the same trajectory as Cape Town's dam levels. From 2.1 million in January and 1.7 million in February the Afrikaans news dropped further to 1.34 million viewers in March in its new 18:30 timeslot. The Sotho news bulletin also dropped from 1.31 to 1.21 million viewers in March while the Venda news bulletin had only 928 145 viewers. The 11th South African Film and Television Awards, held at Sun City this year for the first time, wasn't a ratings grabber either. The 2017 Saftas was down at 1.55 million viewers from last year's 1.77 million viewers. Muvhango is still SABC2's most watched show, up marginally in March from 6.14 to 6.24 million viewers, with consumer show Speak Out rising from 2.5 to 2.86 million viewers as the 4th most watched show on SABC2 for the month. Drama series Bone of my Bones (2.41 million viewers) joined telenovela Keeping Score holding mostly steady at 2.5 million viewers (down slightly from February's 2.79 million viewers) to help prop up the upper-end of SABC2's ratings during March. "Will SABC3 survive?" asked a veteran independent TV producer this week as SABC3's ratings that can hardly go lower fell further in March. There's now more people watching DStv than anything on SABC3, with Isidingo at 1.33 million slightly up from February's 1.15 million but steady with January's 1.37 million viewers as the most watched programme on SABC3. 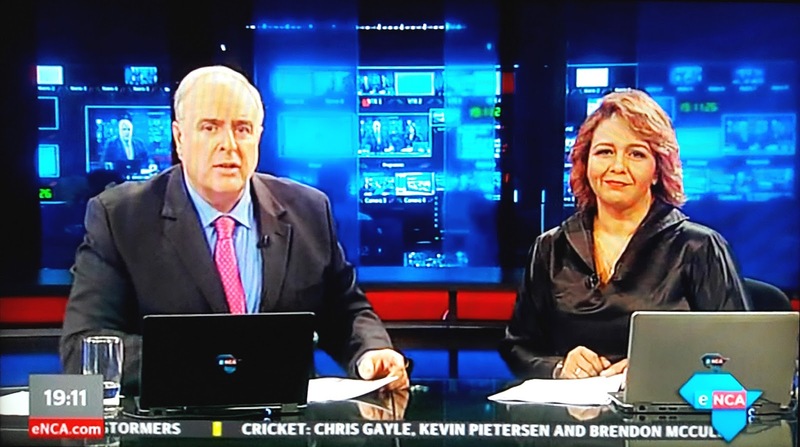 The SABC's flagship English TV news bulletin slid further from 893 617 to 756 753 viewers. The perennially immune American soap The Bold and the Beautiful has finally also succumbed to the channel's downward ratings spiral, down from 890 100 to a shocking 665 445 viewers for its most watched episode. The abruptly cancelled High Rollers still made a showing, luring 575 987 viewers (down from February's 611 468) as the 13th most watched programme on SABC3 during March. 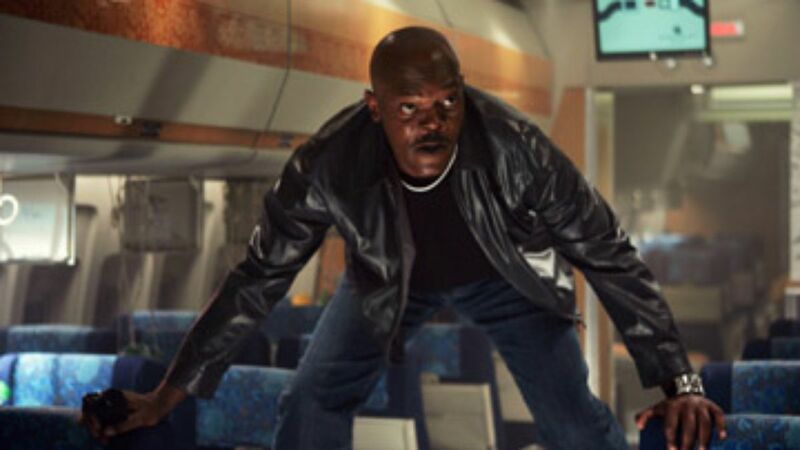 Snakes upended e.tv's ratings in March, slithering to an unexpected ratings surprise. The stable Scandal! remained e.tv's top draw, up from 4.46 million to 4.78 million viewers. Yet the perenially second most watched show, soap Rhythm City - also rising nicely from 3.05 to 3.36 million viewers,got dethroned from its 2nd position by Sunday night movies. Shanghai Noon (3.6 million), The Marine (3.57 million) and Snakes on a Plane on 12 March luring 3.48 million viewers, gobbled up the 2nd, 3rd and 4th most watched slots on e.tv for March, fueling e.tv's ongoing - and astounding - audience share growth. Hit Disney films from Tangled (2.84 million) to Frozen (2.51 million) and Beauty and the Beast (2.54 million), to Disney series from Blackish (2 million) and local shows like Gold Diggers (2.77 million) and Z'bondiwe (1.95 million) are all clocking up massive audiences on e.tv as viewers are switching from the SABC to the red-letter channel with a better balance of local and latest international programming. Once strongly dependent on basically wrestling to prop up its schedule, e.tv is dramatically and quickly TV-terraforming, with WWE Wrestling Raw (still a hit at 2.55 million) and WWE Wrestling SmackDown (2.21 million) no longer the rating smashers onto which e.tv must hang its entire schedule offering. Miss South Africa 2017 broadcast on Mzansi Magic and M-Net made a showing luring over 874 027 viewers in March, where Mzansi Magic continues to reign supreme with its Isibaya, Our Perfect Wedding, Saints and Sinners and Date My Family as the 4 most watched shows not just on M-Net packaged channel but on all of DStv. Further down the DStv most watched list, Mzansi Magic's The Queen, Greed & Desire, Utatakho, Papa Penny Ahee and The Ranakas crowded out the competition. On DStv it is Mzansi Magic's world and viewers gladly live in it. The SuperSport 4 (DStv 204) channel proved a March most valuable player on DStv. The soccer channel made a good showing during March, grabbing multiple top spots with the Absa Premiership, with 551 364 viewers for Kaizer Chiefs vs Orlando on 4 March, and 478 209 viewers for the Baroka FC vs Kaizer Chiefs match on 18 March. Besides Mzansi Magic, SuperSport 4 is the channel on MultiChoice's DStv that proved the biggest viewership draw during March. The Nedbank Cup's matches on 11 and 12 March secured SuperSport 4 two further spots on DStv's top 30 most watched list, as well as the Soccer Wrap (449 618) and Soccer Build-Up (416 376) shows. 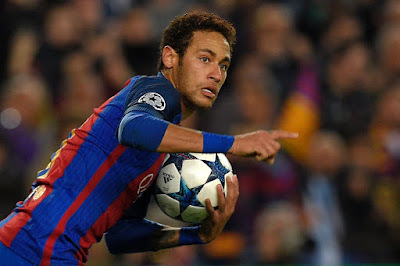 The FA Cup match on 13 March between Chelsea and Manchester United (338 942), and the Uefa Champions League match between FC Barcelona and Paris Saint-Germain that scored 311 907 viewers added to SuperSport 4's champion channel tally. e.tv's new drama series, Harvest, starting 1 May revolves around 3 widows taking over their husbands' illegal business. e.tv's new drama series Harvest will start on Thursday 1 May at 21:30 revolving around three widows who take over the managing of an illegal business, disguised as a frozen foods empire, after their husbands are murdered. The Harvest main cast has Masasa Mbangeni, Petronella Tshuma, Khanya Mkangisa, Muzi Mathebula and Vatiswa Ndara. Masasa Mbangeni plays Celia, Vatiswa Ndara is Clementine and Khanya Mkganisa is trophy wife Tshepiso. "Harvest is the first of its kind on e.tv and it's one we're sure is going to keep our viewers captivated and generate plenty of debate," says Marlon Davids, e.tv managing director. SABC3 alerts that Survivor: San Juan Del Sur starting tonight has a longer debut episode duration; will push other shows all 20 minutes later. After last week's no-show, the SABC is now alerting and pro-actively warning viewers that the debut episode of the new season of Survivor: San Juan Del Sur - moved out a week and now starting tonight - will run longer than usual, and will result in shifting the starting times of other shows later. SABC3 caused controversy and a viewer uproar last Tuesday night when schedule chaos engulfed the public broadcaster's commercial TV channel after unspecified technical problems prevented the debut episode of the new 29th season of Survivor from starting. It created a chaotic and unmanaged schedule cascade failure that saw as viewers flee SABC3 after the channel broadcast an erratic and jumbled, start-stop-repeat collection of other shows out of order. The situation was made worse by the fact that it was the first time in the history of the show since it started on SABC3, that Survivor was moved away from Monday nights to Tuesdays, with viewers who also have to adapt and get used to watching it on a new day of the week. SABC3 says the broadcast of the first episode of Survivor: San Juan Del Sur, distributed by CBS Studios International, will run for 62 minutes tonight, instead of the usual 48 minutes. The extended duration of Survivor will affect all of the shows following after Survivor. It means that The Hostess with Lorna Maseko, Driving in Heels, Trending SA and Days of Our Lives will have an expected delayed starting time of around 20 minutes after its usual starting time. Broke SABC has launched a new campaign asking viewers to pay their SABC TV licences as 'an investment in the future of our country'. The out-of-cash SABC that urgently needs a massive cash injection before the end of this month has launched a new public awareness campaign this month asking South Africans to pay their SABC TV licences, saying it "is an investment in the future of our country". "As the SABC we say, pay your TV licence as everything is #MadePossibleByYou," says the SABC in a statement. The South African public broadcaster currently has 9 million active SABC TV licence payers on its database. South Africa however has over 19.1 million TV households, with the vast majority of the over 44 million TV viewers not paying for a SABC TV licence. The SABC says it has "embarked on a drive to create awareness around the benefits of paying your TV licence" with the latest marketing campaign that will use SABC on-air talent like Leanne Manas, Ismail Abrahams and Thomas Mlambo hitting the road to share stories of how the payment of TV licences has made it possible for them to contribute to the lives of others. SABC viewers are also seeing the late actor and producer, Joe Mafela who unexpectedly passed away last month, as part of the marketing campaign. He was included in the latest SABC TV licence campaign and recorded a message two weeks before his death. "The TV licence fee that the public pays does not only directly fund investment in much-needed media infrastructure and content development; it contributes to enabling the youth to acquire valuable skills. Therefore, paying your TV licence is an investment in the future of our country," says SABC spokesperson Kaizer Kganyago. The crippled SABC that's bleeding the last of its cash reserves and that has stopped paying all its service providers and TV producers at the end of March, is urgently waiting on the new minister of communications, Ayanda Dlodlo as well as treasury to hear what kind of bail-out the public broadcaster will get to help it stay afloat. e.tv and eNCA dumps its daily Zulu TV news bulletin, iZindaba, on OpenView HD after just three and a half years as it continues to scale back its news offering. e.tv and eNCA's eNews division has dumped its daily Zulu TV news bulletin, Izindaba, after just three and a half years as it continues to scale back on its news offering. The daily half hour Zulu TV news bulletin, produced under eMedia Investments' eNCA news banner was broadcast on, and done for, the e.tv packaged eKasi+ channel on Platco Digital's free-to-air satellite offering, OpenView HD (OVHD). eNews Izindaba was however quietly cancelled at the end of March when e.tv dumped the channel and replaced it with a new channel called e.tv Extra. The loss of the Zulu prime time news bulletin is the latest cutback in eNCA's once lofty TV news ambitions under the tenure of eMedia Investments group chief operating officer (COO) Mark Rosin, with less appetite within the e.tv structure the past two and a half years for news content and a continued bigger focus and emphasis on providing entertainment programming. e.tv that earlier this year lost an attempt to get out broadcasting a TV news bulletin during prime time on its commercial free-to-air terrestrial e.tv channel when the broadcasting regulator, Icasa, rejected its application, made no announcement about the abrupt cancellation of its Zulu TV news bulletin. The eNews division still continues to supply a daily Afrikaans language TV news bulletin, eNuus, during prime time to M-Net kykNET (DStv 144) channel on MultiChoice's DStv satellite pay-TV service. 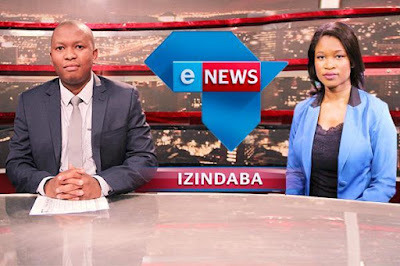 The demise of eNews Izindaba comes just three and a half years after it was launched in mid-2015 with big fanfare on eKasi+ when eNCA said its existence there will "provide viewers with more options in their own language". e.tv's however failed to get it to work with the half hour Zulu TV news bulletin that has proven to be a spectacular and expensive flop. In March 2015 the Zulu bulletin was added to e.tv's early prime time line-up where it barely managed to pull more than 370 000 viewers and was cut just four months later and moved to eKasi+ where it managed to survive on life support until its quiet demise at the start of this month. e.tv's axing of its half hour Zulu news bulletin on e.tv Extra leaves South African viewers once again with just one Zulu TV news bulletin done by the SABC and broadcast on the public broadcaster's SABC1 where it pulled in a large 4.3 million viewers (12.7 ARs, 38.1 share) during March. In response to a media enquiry seeking comment about the cancellation of the prime time Zulu TV news bulletin, e.tv and eNCA says that "with the relaunch of eKasi+ as e.tv Extra and a focus on entertainment programming, eNews Izindaba stopped broadcasting at the end of March". "With this re-focus, there is no longer a broadcast platform for eNews Izindaba. Zulu news does form part of e.tv's morning show Sunrise, broadcast weekdays from 5:30 to 8:30. The eNews division will continue to produce independent news of the highest editorial standards on eNCA, e.tv and eNCA.com". E! Entertainment picks up Kardashian spin-off with Kylie Jenner; 8-episode reality show Life of Kylie will start on E! in winter. E! Entertainment (DStv 124) has picked up a Kasdashian spin-off series with Kylie Jenner, with the 8-episode first season of Life of Kylie that will start this winter. Life of Kylie, with the fashion and cosmetics mogul who will also get billing as executive producer, will follow Kylie Jenner as she navigates her life as a style entrepreneur, fashion designer and a TV and social media star. Included will be a look at how she spends her personal time with her friend Jordyn Woods. "With over 100 million followers across Instagram, Twitter and Snapchat, people feel they already know Kylie, but this series will allow her fans and the public to see behind-the-scenes of her ever-expanding world," says E! in a statement. "This show will allow me to give them a peek inside all of the exciting things I am working on as well as some personal time with friends," says Kylie Jenner. Life of Kylie is produced by Bunim/Murray Productions and Ryan Seacrest Productions who are also responsible for E! 's Keeping Up with the Kardashians. "Kylie's beauty, business savvy and fashion icon status have made her one of the most famous and successful young women on the planet," says Jeff Olde, E! 's executive vice president for programming and development. "Kylie has achieved so much at such a young age and we know the E! audience will be thrilled now that she is ready to share an inside look at her everyday life." BROKEN SYSTEM. Why I care as little about the Broken Vows telenovela from Clive Morris Productions as e.tv's publicity division ... if you even care to know. If you're looking for coverage here of e.tv's new telenovela Broken Vows ... sorry. You won't find any. And to spare you the driftwood of this lament following after this sentence - unless you want the gory details - is that once again e.tv hasn't done itself any favours in promoting Broken Vows in its inexplicably bad publicity strategy. For the second time in months (after it also employed the same playbook page for Hustle in latter 2016), e.tv did a press screening of a new local show, but only for Johannesburg media. In the apparent isolated and bubble-world of e.tv's reality, it seems that e.tv broadcasts just in Jozi as if it's a community TV channel like Soweto TV. As it's non-sensical geographic discrimination continues, e.tv could again not bother to tell journalists covering television nationally - but not living in Johannesburg - that there would be a screening for its latest local TV show, or make a basic arrangement for press based elsewhere in South Africa to see it too (like for instance at e.tv's office in Cape Town and Durban). e.tv apparently doesn't believe - and please excuse the passive aggressive schmaltz - that Broken Vows from Clive Morris Productions needs more exposure or publicity, which is fine. It will now be ignored. With more TV channels and shows on South African television that what one can reasonably get to, and with a lot of places doing a lot of PR effort to try and get the word out, this TV critic, for one - and I know there's others - won't give Broken Vows that couldn't be bothered to get itself as much media attention as it could have, any. When e.tv held a media screening for Broken Vows late last week, e.tv's publicity department - where publicist leave without saying goodbye and people actually star in their own shows on rival pay-TV channels - didn't care that the media that it supposedly foster or presumably want to foster relationships with, won't be able to see it. I can't help but feel that it's part of a bigger laissez-faire attitude at e.tv. More than a week ago I asked e.tv's publicity department for publicity images of Broken Vows. I was then told someone would help. By this past Friday, a week later, still nothing. 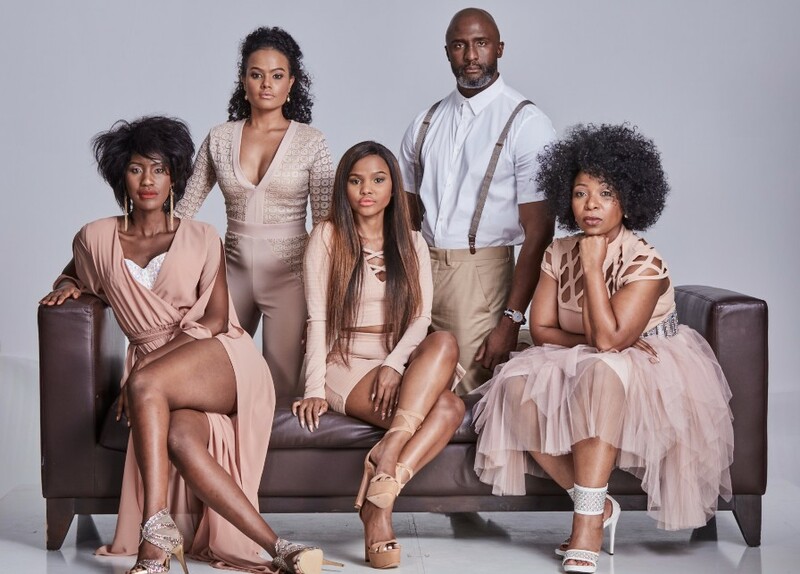 Hilariously, sadly, after Thursday evening's press screening where the Broken Vows cast, production executives and e.tv execs were also present, there was one story from the Johannesburg media who attended. One. That one story didn't even report on any of the comments of Clive Morris or e.tv who all spoke, or who else said what, or how the show actually is that media were shown. Neither has e.tv yet bothered to issue any press release or statement about who said what at the actual Broken Vows press screening, or to give out talking points or comments about the show. And it's clear there won't be. Media who actual care and who are interested in the TV of it - instead of some smarmy Johannesburg media who attended the screening at the Four Seasons Westcliff Hotel for the glitz and the liquor but as usual did nothing - were also not able to capture and report what was said themselves. But hey, this strategy obviously somehow works for e.tv and the broadcaster's publicity division. Late on Friday afternoon, at 4pm, e.tv send me a link to watch Broken Vows after I asked early on Friday morning if media and TV critics elsewhere in South Africa were also given an opportunity to see the Clive Morris Production show beforehand. When e.tv showed me the wonderful courtesy of sending me a link at 4pm on a Friday afternoon, I decided that I'm not spending my time and giving my effort to watch an e.tv show over my weekend in my personal time when e.tv showed just how little it actually cared to bring Broken Vows under longtime media's attention. Not one of the almost dozen journalists and TV critics covering television in South Africa and not living in Johannesburg even knew that e.tv had a Broken Vows press screening when I reached out to ask them if they perhaps knew anything. While M-Net issues press releases during episodes of The Voice SA, Mzansi Magic does so for Idols during and immediately after episodes, e.tv does absolutely nothing for shows like Ultimate Braai Master and others. e.tv only issues press releases for SA's Got Talent days after there's been a winner for instance, and barely does anything for eNCA programming (you have to discover for yourself there's an African round-up show again on the channel for instance, if you happen to bother to search yourself). Whatever the reason, this type of "day late dollar short" strategy clearly works for e.tv, since it continues. Who it doesn't work so well, is for the media covering e.tv, where the red letter channel is one of more than 123 channels available to South Africa's 19.1 million TV households and its combined 44.1 million TV viewers. 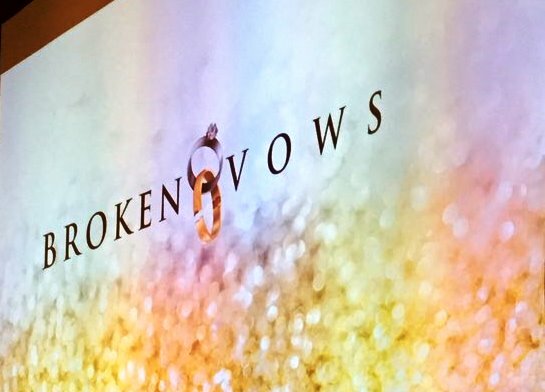 I will continue to cover Broken Vows from a news perspective, for if or when it makes news, ratings news, or otherwise lands on my radar because of something happening with, or around, the production. What I won't be doing is actually watch Broken Vows, tune in for it, or make any effort to try and follow it when there's so many other shows demanding my attention. Forgive me for not being able or willing to tell you as the reader if it's any good and if you should be watching it. e.tv couldn't be bothered, and neither therefore can I. Like a Victorian bobby on the beat at a horrific crime scene, waving off actually interested passers-by, e.tv has made it patently clear that Broken Vows doesn't want or deserve any attention from the media people like me: "Move along, move along. Nothing to see here." SABC 'putting thousands of livelihoods at risk' with failure to pay its biggest shows, as public broadcaster again hovers on the brink of financial collapse. The SABC racing to the brink of financial collapse is putting "thousands of livelihoods at risk" as some of the SABC's biggest shows like Uzalo, Muvhango, 7de Laan and others are not getting the money they need to produce the content the SABC needs with actors, presenters and production crews anxious as they wait to be paid. 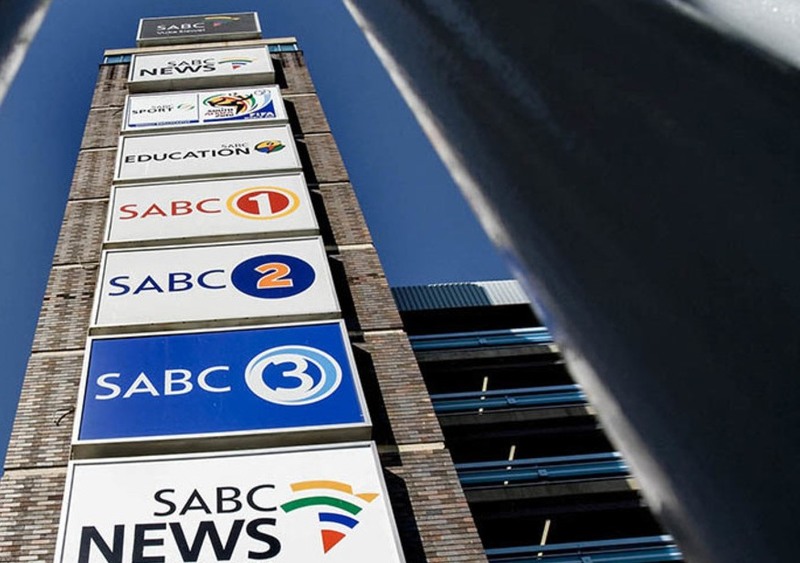 With ongoing plummeting SABC viewership and listenership to record lows, and with the public broadcaster's cash reserves basically depleted, more information is coming to light about the SABC once again finding itself in the precarious position in 2009. In 2009 after mismanagement, maladministration, corruption and gross overspending, the South African public broadcaster came to the brink of financial collapse and was only saved through a government bail-out in the form of a government-guaranteed loan of R1,4 billion from Nedbank. Although the public broadcaster was pulled back from the brink, the SABC inflicted massive damage on South Africa's TV industry and decimated independent producers with some who were forced to sell their houses and cars. Now the SABC is once again in a dramatic cash-crunch months after the controversial former chief operating officer (COO) Hlaudi Motsoeneng ordered a dramatic increase in local radio airplay on the SABC airwaves and announced his plan for an abrupt increase in local content on SABC TV channels, starting with 80% on SABC3. SABC executives in July 2016 already raised the alarm that the SABC will be running out of money within months, something the SABC at the time denied. Last month acting SABC CEO James Aguma told parliament that the SABC's finances are stable. In reality the SABC at the end of this month will have used up the last of its cash reserves. After the SABC abruptly failed to pay all of its service providers, production companies and creditors at the end of March, the SABC's acting chief financial officer (CFO) Audrey Raphela, in a hurried letter told service providers and producers that "you will be contacted individually by your SABC counterparts to clarify how our obligation to you will be honoured by no later than the week ending of 7 April". The Daily Sun now reports that SABC1's most watched show, Uzalo, only received partial payment. SABC2's Muvhango and 7de Laan were reportedly not paid and are waiting for their money. It's the same with SABC3's Isidingo that the SABC also allegedly failed didn't pay. The SABC as a public broadcaster doesn't want to publicly comment about who didn't get paid at the end of March, with SABC spokesperson Kaizer Kganyago that told The Daily Sun "we will not engage in the public domain with the people that we work with. That's why we have decided to engage them directly." According to insiders several SABC shows ranging from SABC1's Selimathunzi to SABC3's Top Billing have allegedly not been paid, as scores of production crews, actors and presenters are waiting on their money. The Independent Producers' Organisation (IPO) representing hundreds of producers and production companies in a statement to TVwithThinus says it is alarmed over the SABC's latest payment failure. "These payments are generally for work that has already been delivered or is in the process of being made. These payments go towards paying suppliers including actors, directors, technical crew, caterers, equipment suppliers, car hire companies and fuel. These are the people who work 12 hour days to bring some of the country's favourite programmes to life". "The failure of the SABC to pay not only places the industry in crisis, but also puts thousands of livelihoods, bond and loan repayments, school fees and living expenses at risk. The impact on the many thousands of lives is dire," says the IPO. The IPO says the dire situation the SABC is once again finding itself in, is negatively affecting "the general industry, including actors and crew". Tell-tale signs of the current cash-crunch was foreshadowed in October 2016 when the SABC's failure to sign new contracts in time saw Muvhango's executive producer forced to take out a bank loan to try and pay cast and crew while 7de Laan warned actors and crew in a shocking note that they won't be paid. Later that month the SABC rushed to finally sign new contracts. By delaying signing contracts the SABC was able to keep more money in the bank for longer. In November 2016, despite a signed contract for a third season that was months into production, the SABC suddenly pulled the plug on SABC3's High Rollers, ordering it off the air within 30 days and suddenly leaving hundreds of crew and actors without jobs. Meanwhile pressure is mounting as South Africa's treasury and the new minister of communications Ayanda Dlodlo will have to decide what form the possible latest government bail-out of the SABC will take. Without a massive cash injection within weeks, the cash-strapped SABC's operations will start to seize up from the end of the month. New minister of communications Ayanda Dlodlo: 'My expertise is in other areas', admits she knows little of digital TV migration, doesn't know if Hlaudi is still being paid. 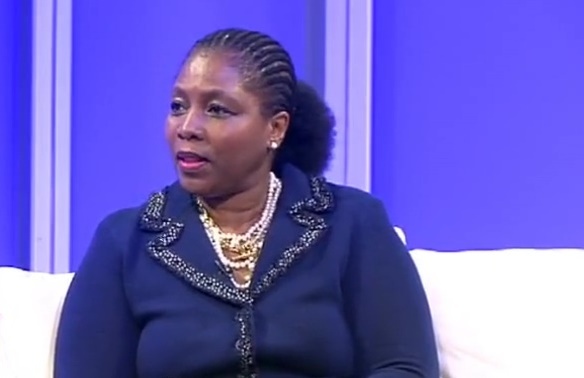 South Africa's new minister of communications, Ayanda Dlodlo in an interview admitted that her expertise is in other areas, that she knew little of South Africa's digital terrestrial television (DTT) migration process before starting her new job this week, said she doesn't know if Hlaudi Motsoeneng is still being paid and that the SABC is going to be one of the most difficult organisations to deal with. The former deputy minister of defense in an interview on the SABC's Morning Live on Thursday said her appointment as South Africa's new minister of communications after an abrupt cabinet reshuffle by president Jacob Zuma late last week came as a surprise since "my expertise is in other areas, but obviously, the president knows what's best". Ayanda Dlodlo said digital migration - South Africa's long-delayed and controversial process of switching from analogue to digital TV broadcasting - is "a learning experience for me because I've heard people talk about set-top boxes (STBs) and digital migration, but I've never understood the context of what it actually meant". South Africa's DTT process and roll-out has been besieged by government and broadcasting regulator ineptitude, differing commercial interest, allegations of corruption with STB manufacturing, in-fighting between broadcasters, in-fighting between manufacturers, uncertainty over broadcasting and manufacturing standards, slow government-subsidised DTT distribution to poor viewers, uncertainty over encryption inclusion, and dragged out court cases. Ayanda Dlodlo said she's meeting with the broadcasting regulator, the Independent Communications Authority of South Africa (Icasa), the SABC, manufacturers next week and a lot of stakeholders and roleplayers to implement DTT "as soon as we can". "We can't afford another delay." She said the most important thing for her is "to get the SABC back on its feet". "Everybody that I speak to says to me 'please get that place in order'. So that's the most important thing, getting the SABC afloat financially, ensuring that the SABC board is fully functional, but also ensuring that the acting positions are done away with." "People must go back to their positions, people must start working, we appoint a new CEO. All of that work needs to be done as soon as yesterday," said Ayanda Dlodlo. She called the SABC's situation with the beleaguered public broadcaster, once again on the brink of financial collapse like in 2009, "extremely worrying". On Wednesday Ayanda Dlodlo "had a meeting with the minister of finance to try and sort out the issues around the financial status of the SABC. There are processes we've decided upon, that will be implemented soonest." Ayanda Dlodlo said she thinks the SABC "is going to be one of the most difficult institutions to deal with. Over years, the SABC over years has had problems. And it's not because of Hlaudi Motsoeneng or whoever was the CEO. I think it was just a structural issue." "I don't even want to put the problem on one individual or one set of a leadership team as being the only problem, or the problem. I want to be a little more focused on the broader picture than looking at individuals. How does the system work." Ayanda Dlodlo was asked if the famously matricless and controversial former chief operating officer (COO) Hlaudi Motsoeneng is still being paid and still an employee of the SABC. "Well, I don't know," she said. "I do not know at this point." Another new massive SABC bail-out looming as new communications minister Ayanda Dlodlo meets with treasury 'to get the SABC afloat financially'. Another massive government bail-out for the SABC is once again coming to prevent the beleaguered and cash-strapped public broadcaster from going over a cliff. The SABC – unable to pay staff, TV producers and service providers – is once again at risk of its broadcasting operations seizing up at the end of the month. Without an urgent government bail-out the internal operations of the SABC will start to seize up as the SABC won't be able to pay staff at the end of April without a big cash injection from somewhere. The SABC already abruptly stopped and is no longer able to pay all TV producers and its content and service suppliers. The new minister of communications, Ayanda Dlodo confirmed that she met with treasury and the new minister of finance on Wednesday to "sort out issues around the financial status of the SABC and there are processes that we've decided upon that will be implemented soonest". In 2009, after severe mismanagement, maladministration and corruption, the SABC came to the brink of financial collapse and was only rescued in the form of a government-guaranteed bank loan from Nedbank of R1.4 billion. Last month SABC spokesperson Kaizer Kganyago called the 2009 bail-out "not a bail-out". "We have never asked for any bail-out ever, ever since I was here. People keep on saying SABC got a bail-out and I don't know where they're getting it from. What we asked at the time in 2009 was a government-guarantee. And what that meant is that we were going out to the markets, to the banks to loan the money." Kaizer Kganyago failed to mention that the SABC is such a high-risk organisation for lenders that the SABC on its own is unable to get emergency credit without a government-backed guarantee. That makes it a bail-out since the South African government - not the SABC - becomes responsible for carrying the risk of default, with a cash injection that the SABC couldn't and still can't secure on its own. Last month when Kaizer Kganyago was asked about suppliers not being paid he said "we have not reached a stage like that". "We are able to fulfill all our commitments in terms of payment of staff, in terms of payment that we owe and so on. We are doing that on a month to month basis. We don't have a crisis." Now the wheels have once again come off the crumbling South African public broadcaster with urgent intervention that is needed to save it from imminent collapse. Meanwhile just 22 executives at the SABC are paid R43 million per year. The SABC's latest worsening financial crisis comes after scathing testimony in late December 2016 and earlier this year from current and former SABC staffers, executives and board members in an ad hoc parliamentary investigation into the chaos, maladministration and corruption at the SABC. SABC executives first revealed in July 2016 that the SABC's cash is fast running out and that a dramatic bail-out of R1.5 billion is once again needed - something that the SABC, despite being in a dire financial position, denied. With ongoing plummeting SABC TV viewership and radio listenership, the SABC acting CEO James Aguma repeatedly kept saying - as recently as February this year in parliament - that there isn't a cash problem and that the SABC's finances are stable and satisfactory. Now the SABC, on the brink of financial collapse, is dealing with the disastrous fall-out from a litany of unilateral decisions and decrees made by its famously matricless former controversial chief operating officer (COO) Hlaudi Motsoeneng like abruptly upping local content quotas to 90% for radio airplay in May 2016 and 80% for the SABC3 TV channel in July 2016. Under Hlaudi Motsoeneng's disastrous SABC rule, a barrage of top executives were fired and exited the broadcaster that continues to be besieged by ongoing court cases and hearings at the CCMA. The SABC also had the broadcasting regulator overturn a shocking self-imposed censorship decision by the SABC's news division during which several journalists who opposed the decision were first fired, and then ordered to be reinstated by the courts. On Thursday the new minister of communications, Ayanda Dlodlo on SABC2's Morning Live who admitted that "my expertise is in other areas" and not in broadcasting, said she doesn't want to blame Hlaudi Motsoeneng for the SABC's chaos and financial meltdown and that she doesn't know if he's still being paid and employed by the SABC. "I don't even want to put the problem on one individual, or one set of a leadership team as being the only problem or the problem. I'd want to be a little more focused on the broader picture than looking at individuals. How does the system in itself work." Ayanda Dlodo said she met with the new minister of finance on Wednesday to "sort out issues around the financial status of the SABC and there are processes that we've decided upon that will be implemented soonest". Ayanda Dlodlo said the most important thing for her is "getting the SABC afloat financially, ensuring that the SABC board is fully functional, but also ensuring that the acting positions are done away with. People must go back to their positions. People must start working." Ayanda Dlodlo called the situation over the SABC once again not paying TV producers and service providers just like in 2009 when it came to the brink of financial collapse "extremely worrying". "The SABC's dire financial situation has sparked legitimate fears across the television industry of a repeat of the SABC's 2009 financial meltdown which saw many companies close and numerous jobs lost," says the public pressure group SOS Coalition in a press statement. It comes after the SABC last month suddenly warned of possible SABC staff retrenchments in a statement. "The SABC's failure to meet its contractual obligations not only places the industry in crisis but also puts thousands of livelihoods at risk in a time of high unemployment". The SOS Coalition says its wants the new minister of communications, Ayanda Dlodlo and the new SABC interim board to prioritise the "SABC's immediate financial crisis to ensure the payment of SABC staff salaries and the payment of independent producers". "Meet with independent producers as soon as possible to work out a joint way forward to ensure payments are made". East Coast Radio presenter and broadcasting expert Terence Pillay this week said the SABC got itself into dire financial straits due to "mass nepotism, mass corruption, and the allocating of massive budgets to friends for the making of terrible television". "Of course the details are quite complicated but in a nutshell the once revered broadcaster with a great name turned into nothing but a paper-pushing post office of sorts." "Now they finally seem to have grounded to a halt, and all independent TV producers can hope for is that it's not completely dead."